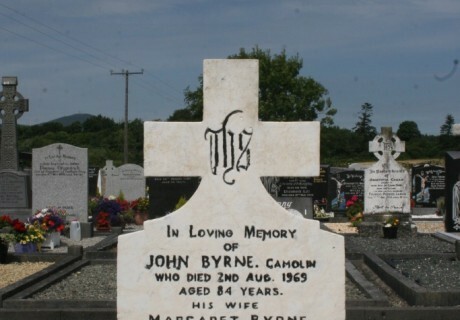 In loving memory of John Byrne Camolin who died 2nd Aug. 1969 aged 84 years. His wife Margaret Byrne died 13th Feb. 1979 aged 76 yrs. 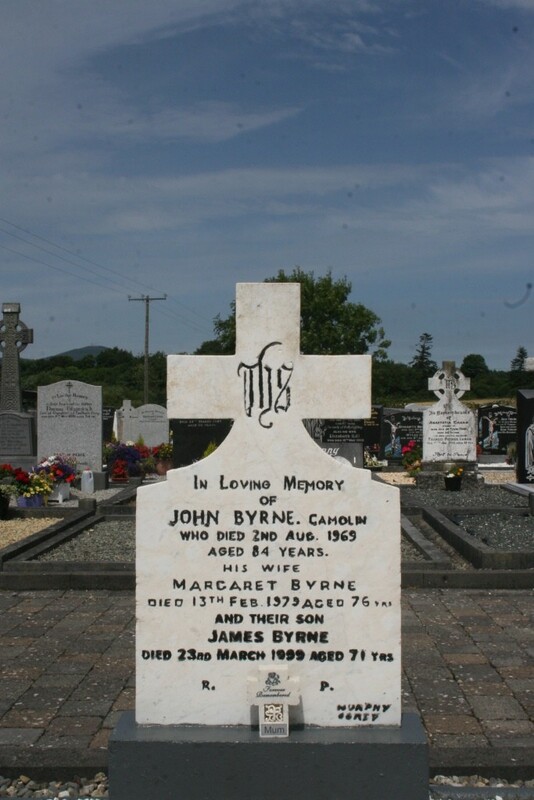 And their son James Byrne died 23rd March 1999 aged 71 yrs.